Dr Sue Johnson is the primary developer of Emotionally Focused Couple Therapy and one of the world's leading couple therapists, researchers, and theoreticians. She is the author of Hold Me Tight and many other books and articles on EFT. 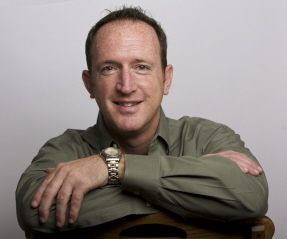 Dr Scott Woolley has trained EFT Therapists throughout North America and in Asia, Central and South America, and Europe. He is a co-author of Becoming an Emotionally Focused Therapist: The Workbook, and is the Systemwide Director of the MFT Graduate programs at Alliant International University. Dr Rebecca Jorgensen is one of the handful of endorsed trainers that travels internationally to help therapists discover the power of using EFT. She is currently the Director of Operations and Development at the Training and Research Institute for EFT at Alliant International University. Dr Lisa Palmer-Olsen is a founder and co-director of the San Diego Center for Emotionally and is certified in Emotionally Focused Therapy as a Therapist, Supervision and Training. Dr Mark Kaupp is an adjunct professor at both Alliant International University (AIU)and San Diego State University (SDSU) in their Master's and Doctorate programs and is in private practice located in the heart of Mission Valley in San Diego, CA.